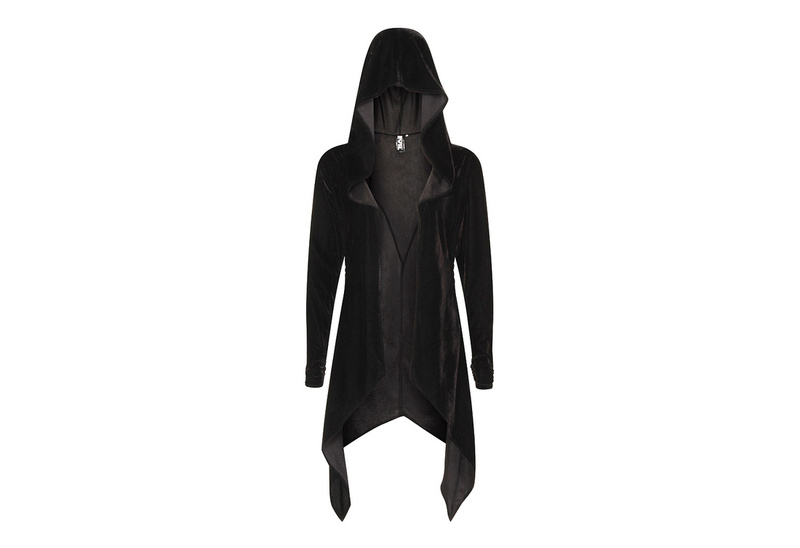 This black velvet Gothic cardigan is soft and has an over-sized draped hood. 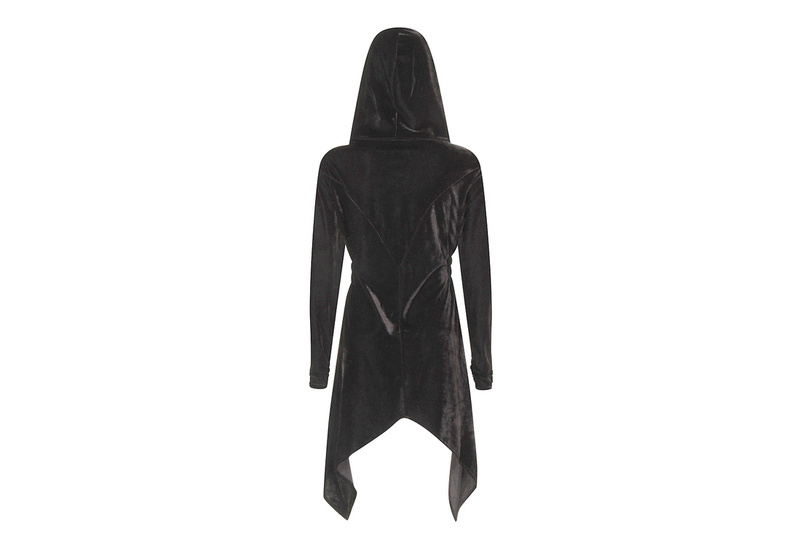 The back of the hoody features a pointed seam and the sleeves have gathering at the cuffs. 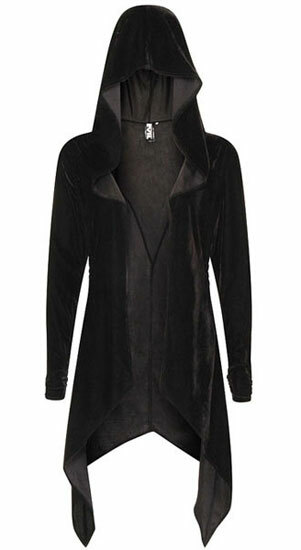 Defiantly a stunning garment. Is this a stretch velvet? I want to know the same thing!! Answered by Sarah on Saturday 16 December, 2017. Answered by Blue on Tuesday 19 December, 2017. The velvet is soft and dark. The material is light and thin for summer wear.